Have yet to run the mags, but I have to say that Top Gun’s customer service is above the rest! Hi, I ordered these mags for myself as a Christmas present and they were the most inexpensive ones I found anywhere. Superfast shipping and great quality. Ill be shopping here again for my Birthday presents. 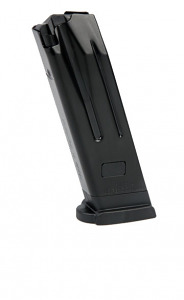 Ordered new magazines for my VP9. NJ new laws on magazine capacity are only creating more business for gun companies. Rant over. Got my magazines fast and exactly what I wanted. I’ll be doing business again. Great price. Exceptional customer service and delivery speed. Will be back to shop again. My city banned mags over 10 rounds. Bought two of these Mags are factory and they work great. Top Gun has great pricing and great service.